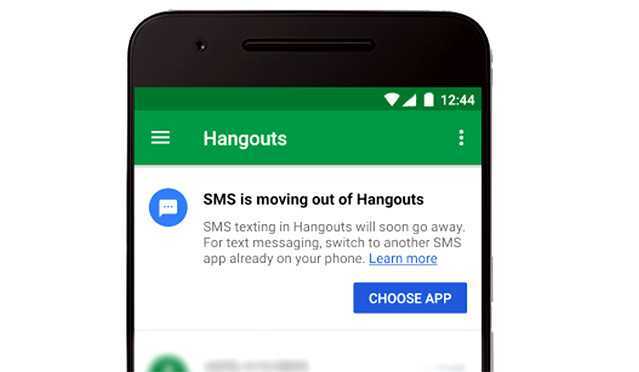 Back in March, it emerged that Google had plans to remove SMS support in Hangouts in May. Well, it’s about time and apparently, it’s happening today. Google Hangouts users will no longer be able to enjoy reading and sending text messages via this app as from today onwards. This is a pre-meditated decision, something that must have kept you ready for this change. The warning about this change started showing up to users of the app about a month ago and even though SMS will no longer be supported on the app, there’s some luck for those using Google Project Fi or Google Voice. If you happen to be on Project Fi or Voice, you will still be able to enjoy the SMS integration in your Google Hangouts app. This brings to an end an era that had seen Hangouts grow into one of the most loved applications. When this feature was added, many people finally saw the need to have Hangouts installed on their phones. With integrated conversations, it was a lot easier to keep short communications all in one place, but now that the feature is gone, it means people will have to turn to other apps for the same purpose. While you could turn to the company’s default messaging app – Android Messages – it’ll depend a lot on what phone you are using. Most non-Google phones come with their own default SMS apps. In addition, this app won’t merge your chats and SMS messages like Hangouts did. Facebook Messenger is a nice option that gives you SMS support, allowing your Messenger chats and SMS to live in one place. As for Google Allo, it can always be an option, but so far, it has no room for SMS support and it probably won’t get one. Either way, you’ll have to deal with the fact that Google Hangouts no longer supports SMS messages. In short, you’ll have to keep using what it offers or get another service that suits you better.